“Help for the Monastic Sangha” (Aide à la Sangha Monastique - ASM) aims to give financial help to Buddhist monks and nuns who fully consecrate their life to their monastic commitment. 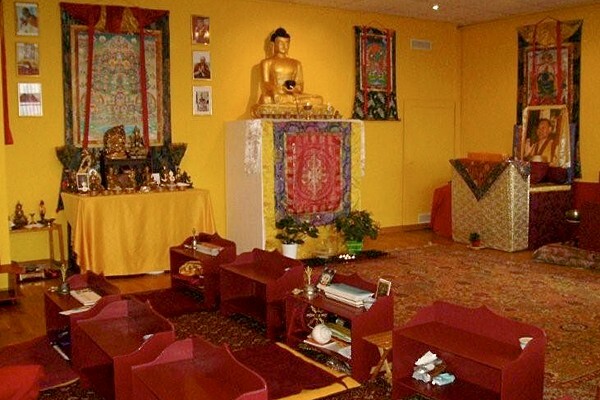 This association, created within Bodhicharya-France, is under the spiritual authority of Ringou Tulku Rinpotché, Master of the Karma Kagyu tradition of Tibetan Buddhism. Why Create Such an Association? For the monks and nuns who constituted the first entourage of Buddha Shakyamuni, it was the custom to receive food and clothes thanks to the generosity of secular practising Buddhists. In fact, the monastic rule (Vinaya) requires monks and nuns to leave their secular activity to consecrate themselves entirely to the monastic life, for the benefit of all beings. In order to encourage this commitment, ASM collects contributions and uses them so that monks and nuns are not obliged to renounce their aspiration because of financial constraints. HMS offers help in two forms: - A monthly payment destined for monks and nuns resident in the Bodhicharya-France Centre; Occasional help accorded to each monk of nun who asks for it. The modalities of attribution of help are specified in the Rules of the Association and managed by two authorities: The Governing Board, elected by the General Assembly, takes decisions concerning help requested for a high amount, or intended for a person who is not resident in the Bodhicharya-France Association; The Chapter, composed of all the monks and nuns resident in the Bodhicharya-France Centre, manages the attribution of regular and occasional help of a modest amount.